HARMON, Guam - IT&E is proud to have worked with local businesses to give back to the community by supporting several important causes. IT&E teamed up with Bank of Guam and sister-company IP&E to host the inaugural Marianas Golf Classic at the LaoLao Bay Golf & Resort in Saipan. 110 golfers participated in the tournament to support nonprofit organizations. In August, IT&E, IP&E, and Bank of Guam presented $3,800 each to the Autism Society of the CNMI, the Micronesia Islands Nature Alliance (MINA), and the Make-A-Wish Foundation CNMI and Guam. 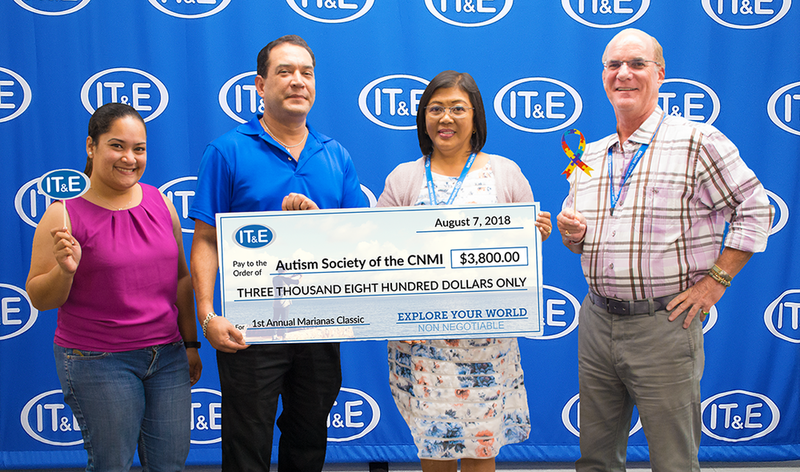 IT&E presents the Autism Society of the CNMI with $3,800 raised from the inaugural Marianas Golf Classic, organized by IT&E, Bank of Guam, and IP&E. 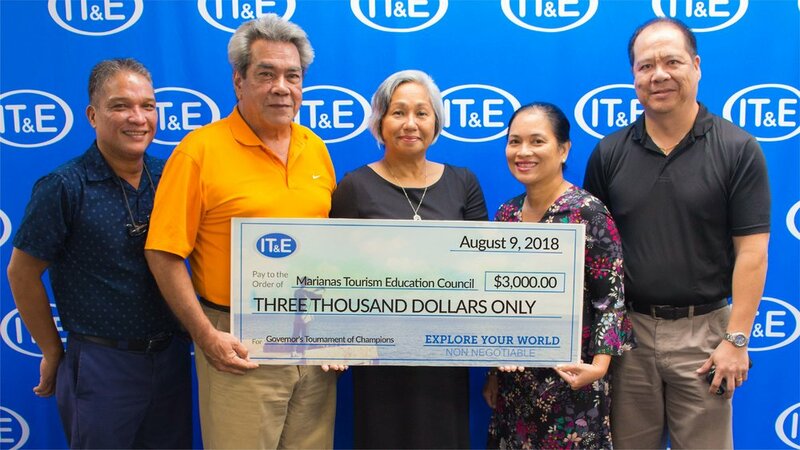 Other community efforts IT&E supported in August include the Green Gala hosted by MINA, the Governor’s Tournament of Champions to benefit the Marianas Tourism Education Council, the 2018 Miss Universe Guam pageant, and the 2018 Island Summer Auto Fest. IT&E also continues to give back its subscribers. IT&E has awarded a total of 380,000 miles to CNMI and Guam residential postpaid, prepaid, and postpaid subscribers and through social media giveaways in the IT&E Explore Your World Million Mile Giveaway. And there are still more miles to give away! Every week until November 2, 2018, IT&E will be giving away miles to new and existing postpaid, prepaid, and bundle subscribers. Subscribers should also keep an eye on IT&E’s social media pages for more chances to win. For information on the IT&E Explore Your World Million Mile Giveaway, Explorer Rewards, and how to earn United MileagePlus Miles at IT&E, please visit ite.net. 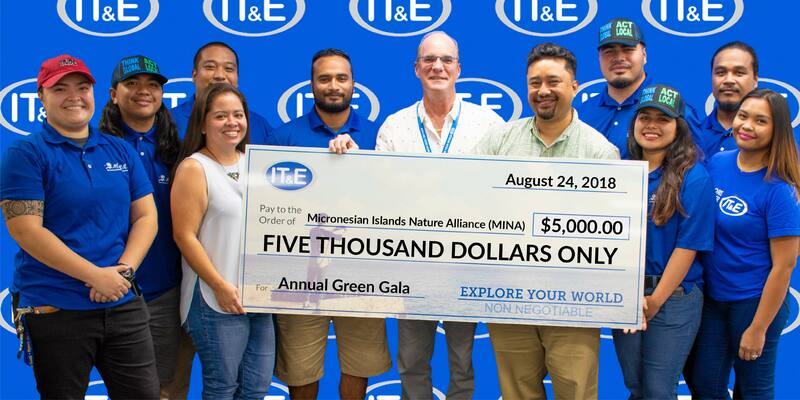 In support of MINA’s efforts to protect the environment and our natural resources, IT&E presented $5,000 to the organization for the Green Gala. IT&E presents $3,000 to the Governor’s Tournament of Champions to benefit Marianas Tourism Education Council. From left: Ray Villagomez, projects specialist at Marianas Visitors Authority; James Nelson, director of the Governor’s Tournament of Champions; Vicky Benavente, chairperson of Marianas Tourism Education Council; Velma Palacios, director of network operations at IT&E; and Martin Duenas, community projects manager of Marianas Visitors Authority. IP&E presents MINA with $3,800 raised from the inaugural Marianas Golf Classic, organized by IP&E, IT&E, and Bank of Guam. Bank of Guam presents Make-A-Wish Foundation Guam and CNMI with $3,800 raised from the inaugural Marianas Golf Classic, organized by Bank of Guam , IP&E, and IT&E. 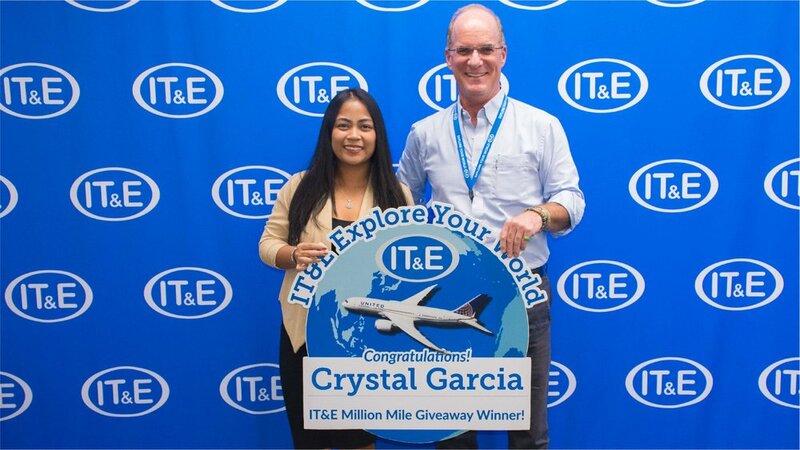 Crystal Garcia, of the CNMI, wins 30,000 miles in the fifth week of the IT&E Explore Your World Million Mile Giveaway. She’s a postpaid subscriber (From left) Garcia; and Hans Mickelson, Enterprise Business Group / Sales Manager. 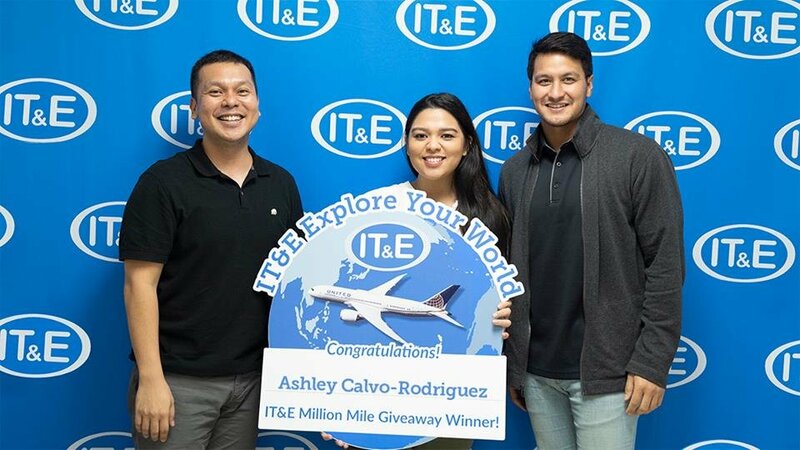 Ashley Calvo-Rodriguez, of Guam, wins 30,000 miles in the fifth week of the IT&E Explore Your World Million Mile Giveaway. She’s a prepaid subscriber (From left) Danny Daniel, IT&E Senior Manager of Brand & Public Relations; Calvo-Rodriguez; and Chris Duenas, IT&E Postpaid Product Specialist.